Telling a good cause story: It can be the biggest difference between you and your competitors. Storytelling can help set you apart in a field of similar charities and nonprofits, and it all comes down to how strong your strategies are. It isn’t enough to simply have your mission laid out on your website – and with so many avenues and creative outlets online, why would you even want to stop there? The truth is, adept storytelling can do a number of things: It can help position your nonprofit as being both sympathetic and dynamic; it can bring in new donors while retaining current ones; it can expand your reach and establish your brand digitally. It’s the foundation of cause marketing for good reason. One of the best ways to reaffirm your nonprofit’s vision is by creating a solid emotional connection between you and your potential donors. Appeal to the soft side of your audience by crafting a story that hinges around how donations can end suffering, provide help, or make the impossible possible – just think about how well those humanitarian aid commercials go right for your heart. For example, the Animal Humane Society put out a video designed to tug on the heartstrings of anyone watching – it’s easy to get caught up in the humanized voices of the animals and their pleas. Also, don’t forget to keep up with those emotional appeals once you’ve got a solid donor base! Now that you have regular donors, keep them updated with stories of how their contributions are helping you help others. Check out the storytelling episode on the Asking For More podcast for more great ideas. Storytelling is vital in today’s attention economy. Social media values stories, and you, as a nonprofit, clearly have plenty of amazing stories to tell – whether they’re about the goals you’re striving towards, the projects you’ve completed, or the ongoing help you’re providing to the community. You’re making a significant impact on the lives of others, and there’s no better way to communicate this than through social media. Social media tools are the perfect avenues to share these stories and to get instant feedback, validation and confirmation of the important work you’re doing. Set up accounts on the most popular social networks – Twitter, Facebook, and Instagram are good places to start – and have a set schedule for posting fresh content. Nonprofits like Doctors Without Borders use Instagram to show photos of their on-the-ground relief efforts, and the American Heart Association on Twitter utilizes its own hashtags to start conversations. Your storytelling efforts don’t need to be static; in fact, if they’re happening in the moment, they’re more likely to engage more people. Think about the telethons of old – people would tune in to watch variety shows and celebrities work the phone lines as nonprofits and charities called for pledges. It’s about the in-the-moment participation with demonstrable results – and it’s easy to bring this type of strategy into modern-day marketing. A fantastic example of this is the Keeping Up With The Kattarshians livestream video from Iceland. Broadcasting company Nutiminn capitalized on the Internet’s love for all things feline and set up a live webcam to continuously broadcast the antics of some very cute kittens (all available for adoption!). Not only are they jumping on the reality TV train for a good cause, they’re demonstrating a strong awareness of what can catch fire with online audiences. Storytelling tactics are often very effective at bringing out emotion. Why not try something as simple as laying out a problem and presenting the solution your donors can be a part of? You can use this outline as an exercise in an appeal letter, a social media post, or an email. Begin with a sharp introduction to get the reader involved, with a clear example to create a mental visual. Keep sentences short to help develop a sense of urgency, and repeat pronouns like “we” to make the story more personal and help the reader feel directly involved. State the problem and your goal in human and visual terms, making it very relatable, while referring directly to the reader, who feels like they are now a part of the story. Last, be sure to offer your thanks and reinforce your message. It may seem like an extra use of resources, but trust us when we say that creative forms of storytelling can be the secret weapon you need to get even more attention for your nonprofit. Keep building on these strategies to spread the word about your cause – and before long, you might start seeing an organic increase in those who believe in you. The current U.S. administration’s rampant changes to laws have been getting a lot of media attention, which has also had the effect of boosting online donations. In fact, nonprofits usually see donation spikes for 72 hours after major press coverage. For instance, recent changes to immigration policies have put the American Civil Liberties Union (ACLU) in the spotlight, which has resulted in huge donation spikes. Another trend that nonprofits are seeing under President Trump’s administration is what some are calling “outrage giving,” or when online donations come flooding in because donors are fired up on a certain topic. A great example of this is when folks thought a budget proposal would cut funding for Meals on Wheels. Meals on Wheels typically received around $1,000 a day in unsolicited online donations, but when the budget news broke, they received more than $160,000 in just a few days. When donors see something on social media or in their emails, they are likely reading it on a smartphone; therefore, when they feel motivated to give, it’s critical that your organization’s donation form have a secure and fast mobile checkout experience. According to Dunham & Company, 25% of donors say they have already used their smartphone to give through a charity’s website, and that number is growing! If your site’s donation form isn’t mobile-compatible, you might be making it difficult for your donors to support you. How can your nonprofit organization ensure that your donation forms work on smartphones and tablets? The answer is mobile responsive design – a way of building a webpage so that content and images are automatically sized to the screen size you’re browsing on. Responsive design is why some webpages look great on both your smartphone and your laptop. A lack of responsive design means that a web page might look fine on your computer, but squished and unintelligible on your smartphone. A design that looks good on smartphones won’t slow down donors and avoids lowering your conversion rate. For nonprofits, email is the top converting online channel, and most emails are read on mobile devices. Every time you send an email appeal, make sure the “donate now” button leads to a mobile responsive donation form. This ensures everyone will be able to give, no matter what device they’re using to read your content. Not sure if your donation form is mobile responsive? Do a periodic check at the office to see if your donation pages work on different devices. Get your staff to see how they look, preferably across a range of smartphone models or tablets. Don’t forget to fill in the forms and click through as far as possible. Big Tip: The majority of your followers on social media platforms like Facebook and Twitter are also reading your content on a smartphone. Anything that a charity posts on social networks must be accessible for mobile browsers, or you run the risk of lowering your call-to-action’s conversion rate. According to the 2016 M+R benchmarks study, email marketing accounted for more than a third (34%) of online revenue for the top 25 nonprofits. Yet in a digital age full of online noise, effective email marketing can be tricky. Segmentation is essential when communicating with your donors. It allows you to send potential new donors and repeat donors relevant messaging. Effective segmentation and personalization goes beyond including a donor’s name in your email content. For instance, if you have a pool of loyal monthly donors, does your email asking them to sign an emergency petition include messaging that recognizes their incredible support so far this year? Generic messaging is less persuasive and leaves donors feeling like they’re just one of thousands on your mailing list. 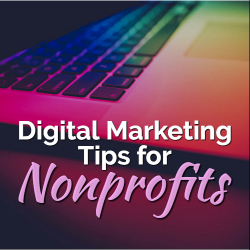 Maximizing the persuasive power of your content is crucial for charities and nonprofits because your supporters are increasingly choosing to respond to donation requests by email. The Dunham & Company study above found that the percentage of donors motivated by an email to give online has jumped 40% since 2015! When you unexpectedly find yourself in the limelight, make sure you are able to email the right supporters quickly – even on a weekend. Big Tip: Make sure your donor management platform allows you to generate relevant supporter lists quickly and easily from any location! When you have important news to share, you may not have the time to wait until Monday morning to get your e-blasts out. Facebook is still a huge driver of donations, but Instagram hit the 700 million users mark and is projected to have a billion users by the end of this year! Perhaps more crucial than number of users is the amount of time spent on the platform. Instagram users aged 25 years and over now “spend more than 24 minutes a day” on the app. That’s a lot of potential for your content to be seen, shared, and acted upon! If you work for a nonprofit, expand your social footprint to include Instagram – after all, if you find yourself in the limelight, you’re going to want to already have a presence on the platform. Instagram isn’t just about photos and captions – the platform also allows for live-streaming and uploading videos as well. 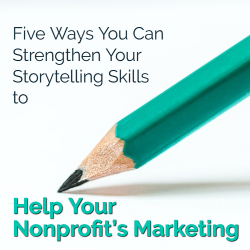 It’s a good option if you want to create more dynamic content to really help tell your nonprofit’s story. The live-streaming feature can be used to broadcast your events or activities, telling your audience what’s happening as it happens. Here’s 5 things your charity can do with live-streaming right now! When you have something important or time-sensitive to communicate, put resources behind it to boost it! According to the 2017 Global NGO Online Technology Report, 34% of NGOs worldwide have paid for advertising on social media. Big Tip: You already know that Facebook can boost your posts for a fee – Instagram can do the same thing. Target your sponsored posts at specific demographics, reaching the right audiences with your messaging. If your cause is in the news, place a sponsored Instagram post and use the appropriate hashtag to catch attention from potential supporters on the app. Instagram advertising has a variety of useful call-to-action items you can use to drive traffic to your donation or petition pages, including “Sign Up” / “Learn More” / “Donate Now” and more!